. إن Pinewood Lodge حريص على توفير الراحة للنزلاء، فلا يوفر الموظفون جهداً في تقديم أفضل الخدمات وضمان حسن الاستقبال. تتضمن الميزات الرئيسية في هذا الفندق: خدمة غسيل ذاتية, مرافق مخصصة لذوي الاحتياجات الخاصة, تخزين الأمتعة, واي فاي في المناطق العامة, صف السيارات. في Pinewood Lodge غرف نوم يزيد عددها عن 194 صممت بذوق وعناية لتوفر لك كل وسائل الراحة . بعضها يحتوي أضاً على تلفزيون بشاشة مسطحة, اتصال لاسلكي بالإنترنت, غرف لغير المدخنين, تدفئة, مكتب. يقدم الفندق خدمات رائعة كمثل حوض استحمام ساخن, حديقة لمساعدتك على الاسترخاء بعد نهار طويل من النشاط والتجوال في المدينة. إن كنت تتطلع إلى إقامة مريحة وهادئة في كوينز تاون، فستجد في Pinewood Lodge بيتك الثاني. يُرجى العلم بأن أماكن انتظار السيارات المجانية متاحة لمن يصل أولاً. Guests checking in on December 31, 2019 must be 20 years and over and must present an identification card upon check-in. لا تقبل موتيلات باينوود تسجيلات الوصول المبكرة أو المتأخرة أو تسجيلات الخروج المتأخرة أو طلبات تنظيم الأسرّة البديلة. - يجب أن يكون تسجيل الوصول في الفترة بين 02:00 PM و08:30 PM. - كما يجب أن يكون تسجيل الخروج قبل 10:00 AM. - لن يكون تنظيم الأسرّة مختلفًا عما هو موجود بالغرفة بالفعل. خدمة استئجار الدراجات رهن بالتوافر. يرجى الاتصال بمكان الإقامة للحجز. Our private room was very clean and comfortable, but very small. The building we shared with two other rooms (potential total of approx 10 people) shares one small toilet and separate shower. The kitchen was fine, as with the seating area, but everything is very dated and mismatch. The WiFi was atrocious, barely counted as such, so don’t rely on it to do anything. For QT the cost was pretty good though so you do get what you pay for. Thanks for taking the time to share your feedback on your time with us. We are aware that some of the units can be updated slightly, and are making plans to do so. We therefore value your feedback on this. Glad you found the value to be affordable, and we hope you had a comfortable stay! Generally good. The room is too small. No space for luggage. We saw a bigger room next to us. Unfortunately, a gal occupied one bed and 2 bed was left vacant. Bad management of room assignment For shared bathroom, I was urged by the gal after I was using the bathroom for 10 mins. Will not choose shared bathroom type next time. Came in with the TransNZ group as a big horde and the accom was great, location wise and staff wise that I chose to book another night. Hi Andy, thanks for the lovely review! It was great to host you and your group :) we're glad to hear you decided to stay on another night. Hope to see you again next year! They requested for a nzd20 deposit for the key which will be refunded upon check out, and charged an extra 50cents if you paid by card. Rooms and kitchen were quite old by the looks, but overall considerably clean. Hi Yi, thank you for taking the time to leave feedback on your stay with us. The $20 key deposit is something we take with every check in, and is returned to the guest when the key is returned. On the desk, we advertise a 2.5% surcharge is paying by credit card, but there is always the choice to go away in order to withdraw cash to then avoid the surcharge. Just ask our friendly Reception staff the whereabouts of the nearest ATM is. So pleased to hear you found the accommodation clean! We look forward to welcoming you back soon! 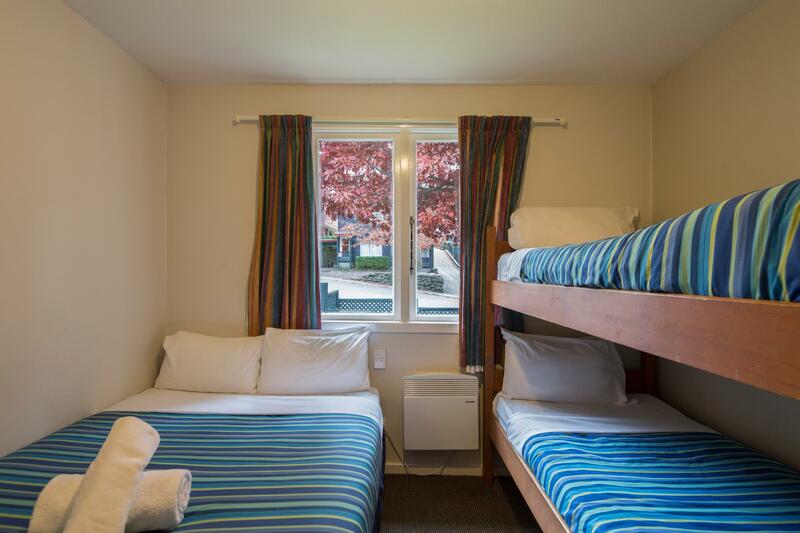 Pinewood Lodge a great value property to stay at Queenstown. You will be sharing with other guests on living and bathroom. The property comprises with different type of lodge awaiting for the difference need. Thanks for your feedback! We hope you enjoyed your stay with us! Dirty bathroom and kitchen. Very old and shabby... 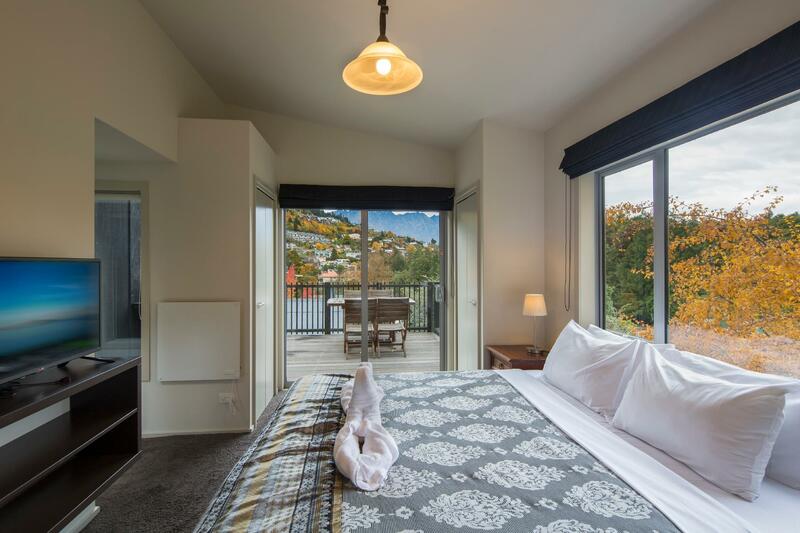 Although difficult to find much more for the money in Queenstown... Well worth spending the money as this is the worst place I've stayed in Queenstown by a long shot! Hi Gareth, It is very disappointing to hear your thoughts on your stay at Pinewood. Our bathrooms and kitchens are thoroughly cleaned by housekeeping every day in order to maintain a high standard of cleanliness. 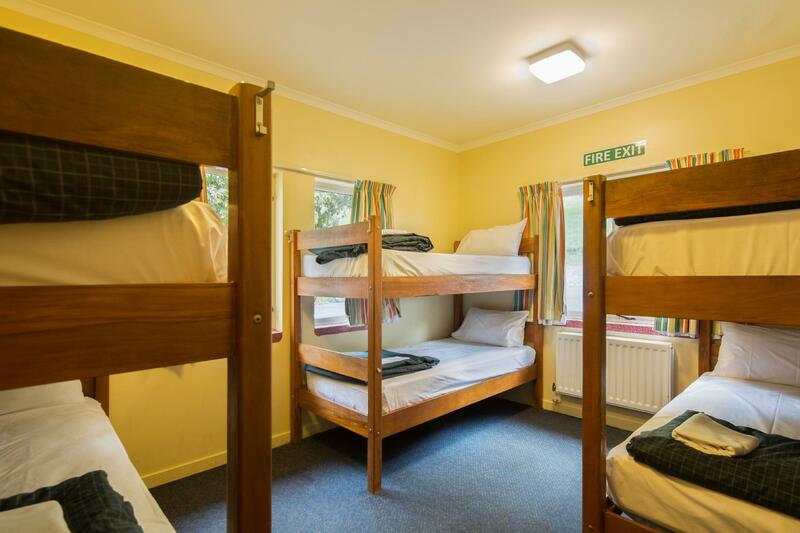 I noticed however, that you did choose our most budget option room type in the lodge. We do have many other options available with private facilities if this is something that would better suit your needs in future. Location is good. Free parking. Quiet. We came at 2:30pm and the room was ready at 3:10 pm. WiFi didn’t work. Not bad but I would not come back again with a young child because the room was a little bit small for a group of 6. Hi Zixian, Thank you for taking the time to share your review with us. Sorry to hear that your room was not ready at 2pm. Our housekeeping team do their very best to ensure all of the rooms are clean and ready to go by this time, however sometimes when we are extremely busy, it can take a little bit longer. We do have luggage storage available in reception if you are planning on heading out for the day, or you are more than welcome to hang out in our reception area, or have a chat to our information desk for any information on what to do in Queenstown while you are waiting. We understand that this is not ideal, however, this is something that we make our best efforts to avoid. Good localisation, 10-15min from the city center by walking but thanks to the fact it's not in the center it's easy tout Park. Clean, confortable.. The negatives are thé fact that there are no plugs in the room and wifi IS not good. Hi Sarah, Thanks for taking the time to send us your review. Great to hear you found the location and free parking to be useful during your time in Queenstown. We do have plugs in every one of our rooms and so this shouldn't have been an issue, perhaps they were in a difficult place to locate so I will investigate this so as not to cause any confusion for future guests. We appreciate your feedback. Hi Christopher, thank you for taking the time to leave feedback on your stay with us. We do apologise about the heating issue, this is something that we have been struggling with and are in the process to completely change to avoid these types of issues recurring. I am aware that the maintenance team did go out to have a look at the heating, and sadly, after trying to rectify the problem it didn't seem successful. So again, we really do apologise, and hope that this didn't impact your stay in Queenstown. We do appreciate the review regarding the Housekeeping, this is something I will address with our team to ensure that our standards are kept high. 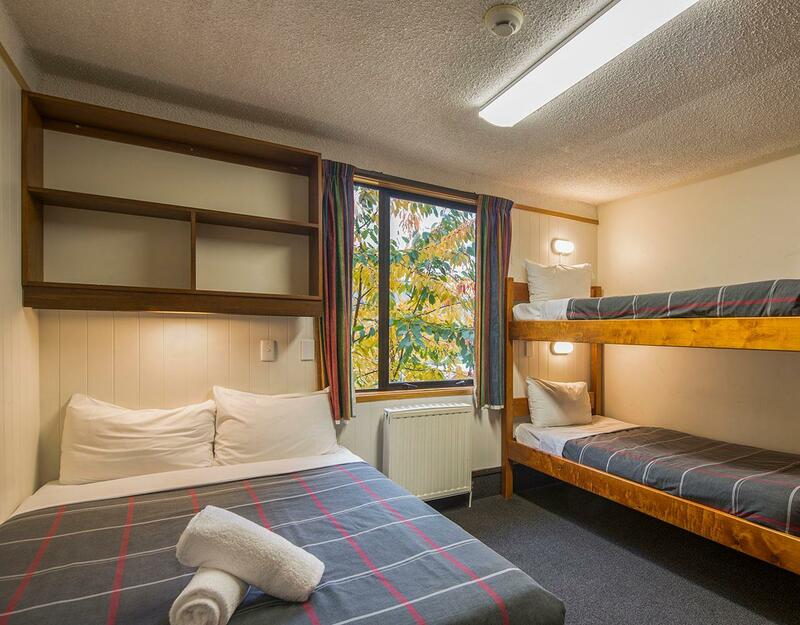 We pride ourselves on being a very clean and comfortable - albeit a bit dated - accommodation provider, so is crucial to be kept up to scratch. We hope to welcome you back soon so you can enjoy the improvements. Thank you! It has everything you need, only missing mirror in our room. Clean, staff helpful. Thanks for the lovely review, it was great having you stay with us! Every single staff member was very friendly and helpful. One in particular was extremely helpful in helping me plan my trip around the South Island. She also organised for me to leave my bags the night before checking in whilst I went on a trip to Milford Sound. I couldn’t have asked for better service!! Staff super friendly. Rooms and Public area are clean. The only thing needs to improve is the room's sound insulation is too bad, I can hear everyone open doors and chat from their rooms. But except that I did stay here for a great night. The front desk staffs are lack of smile. One of the bath towels was left used and unchanged from the previous guests. 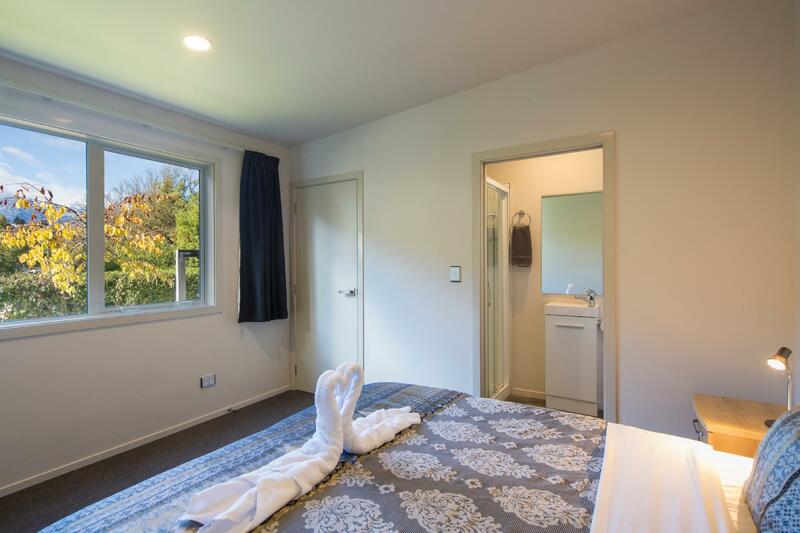 Good location though, within walking distance to Skyline Queenstown, which has also saved us the trouble of looking for a maximum-4-hour parking at the Skyline there since we get to park our car at the private parking at the lodge. This is a simple and clean place to stay. It is not near the city centre. You have to walk for at least 10 - 15 min from the city centre (It may not sound a lot but there are slopes and unlited stretches of roads to walk through). Wifi reception is almost non-existent so beware for those heavy internet users! There is no daily room service. The heater in my room and outside my room (living room) is broken. It was too cold to sleep but fortunately I managed to borrow a portable heater which also took a long time to heat up. But, overall, an ok experience. Stayed here for my last few days in New Zealand. Wasn't expecting much, but boy I was wrong. The property itself seemed pretty shady since it's located quite to the depth of the area but hey, some effort goes a long way. Got ourselves some pretty neat individual cabin for 2 and was astonished with the facilities provided. It's a fully-equipped cabin with pantry, a wardrobe, neat toilet and spacious room. It is fully maintained at its best and the cleanliness deserves a mention. Great stay and would love to stay here again for future Queenstown visit. P/s: ask the staff at reception for any help including helping you book any of your activities of choice. Location is good, still within walking distance to town center. 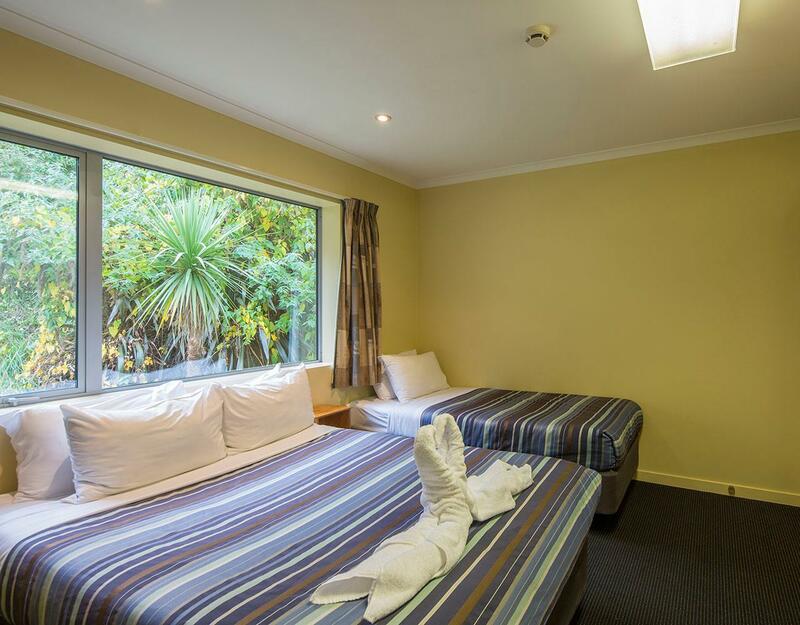 Our room have all facilities we need for, full kitchenette, separate room between bedroom & lounge. Staff are super friendly & helpful. Thanks for your review, Nor!